The process starts with an initial fact gathering to see what you are interested in designing. This step is free of charge and helps both of us determine if my work will meet your expectations and needs. The design process often becomes a collaboration between designer and client. I want you to get the design of your dreams but I also feel the best designs come from projects that fit my aesthetic and style. When do I know how much it will cost? Design details are finalized and rough estimate of costs and material options are complied. Decisions are made on materials, stones and time frame. A 50% non-refundable deposit is taken at this time to procure materials and start the work. The balance is due before shipment or delivery of the work. Can I see pictures of the process? I often share process shots through social media outlets when time permits. It is difficult to document every step along the way and certain techniques are difficult to capture on camera. I am happy to share pictures when I am able. There is no easy answer for this question as every commission is unique. Some can take a few days and others can take several months. Sourcing materials, procedural techniques and current bookings will determine the time needed to create a piece just for you. If you have a date in mind, please reveal that as soon as possible so we both begin the process on the same track. Is it more expensive to custom design? Not necessarily. 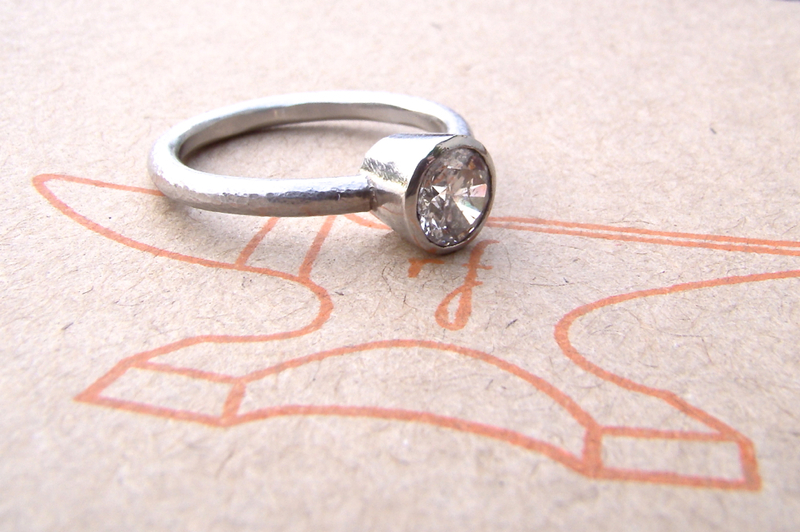 Often people recycle old rings or heirlooms that have been loved by generations. Using these materials can offset costs. The skills, techniques and materials all determine the price of the piece. Whether it is custom made for you or ready made in my shop, these elements remain constant. Should I just buy a "ready-made" piece of jewelry? If you are more comfortable with that avenue then by all means, yes. If you are willing to trust my design sensibility and skill, custom designing is easy. Each handmade piece is unique. If you appreciate unique jewelry, then buying a handmade piece is a comfortable choice for you. If you value the artistic approach of creating an original story to your piece, then custom design is for you. I am comfortable working in many different materials and often will learn a new technique to make a custom commission. 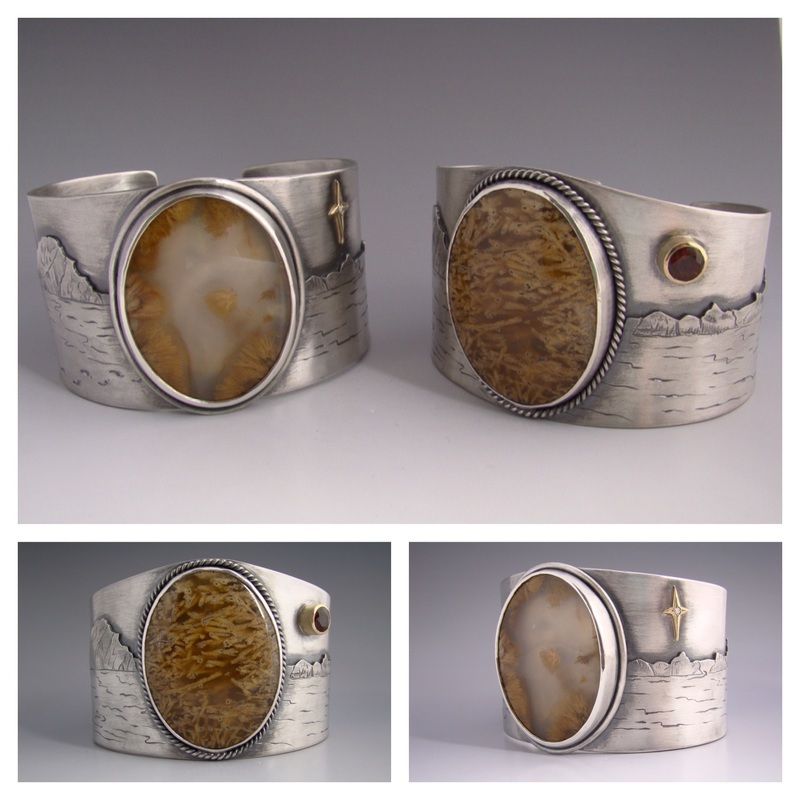 I enjoy working in sterling silver, all karats and colors of gold, palladium, platinum, copper and bronze. I collect gemstones from all over the world. I have an extensive collection for you to choose from. I rely on a long list of suppliers, many that I call friends. Most of the metals I use are from sources that are kind to the environment and are recycled. What if I don't like it when it's finished? I strive for you to be pleased with your piece. I create open communication during the entire process. I am able to communicate the design process through conversations and images. Custom designed pieces are non refundable due to their highly personal nature. I want you to be pleased and will work towards a solution that works for both of us. Each type of metal and gemstone have specific properties that require different ways for caring for them. I will do my best to educate you in caring for your treasure. 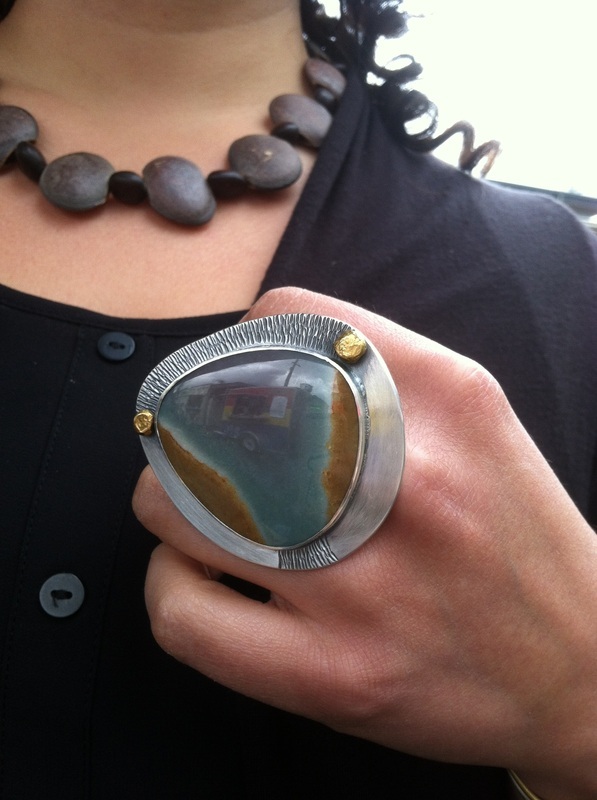 Resizing, repairs or refurbishing on my pieces is often available in the event of finger changes, damage or wear. Most pieces can be brought back to fresh condition with a cleaning or light refinishing. I do most sizing, repairs and refurbishes on a case to case basis as it is hard to determine time and costs that might be involved. I'm ready! What comes next? Send me an email at renee@reneefordmetals.com or call me direct at ﻿541-521-8102﻿. I am happy to begin discussing your custom designed creation.